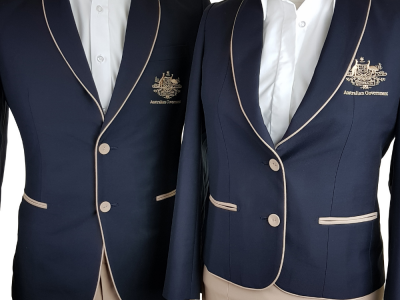 In 2017 year, WorldSkills Australia ran a uniform design competition to give young designers an opportunity to showcase their skills, with the winner having their designs realised and worn by the Australian team at the 44th WorldSkills International competition in Abu Dhabi last month. The winner was a young female designer, Ashleigh Huntley, whose designs were then brought to reality. 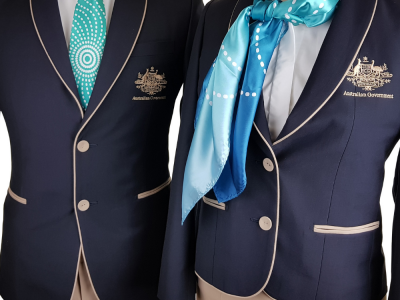 The two matched their skills to create what WorldSkills Australia believes is the best-looking uniform to date. 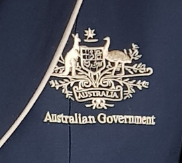 With so many different countries competing in the competition, it was important the Australian team were well represented and that Ashleigh’s designs were treated with respect and bought to life accurately. The winning design, by Ashleigh Huntley, is an earthy and natural look – with crisp clean colours and lines with splashes of dynamic colour. 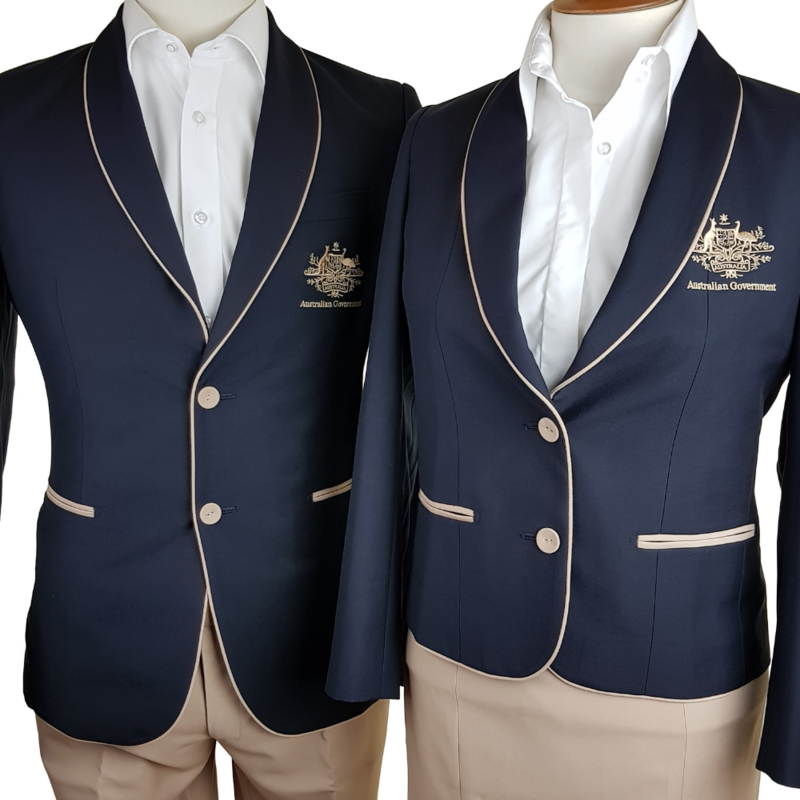 The uniform included a formal option and a more casual piece and was required to be comfortable and professional looking at the same time. 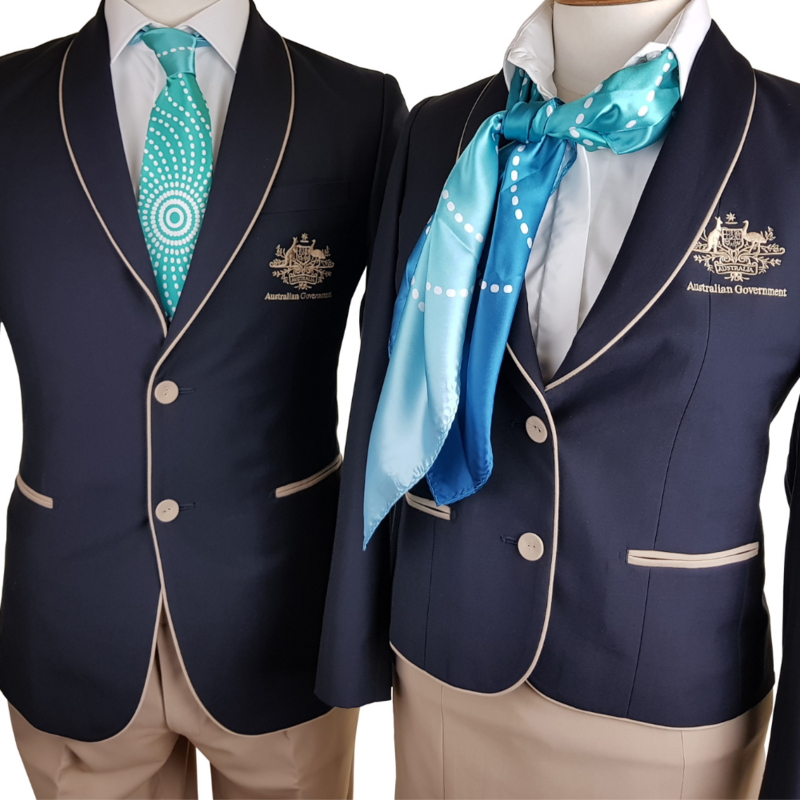 The uniform colours were inspired by the beauty and diversity of the Australian landscape. 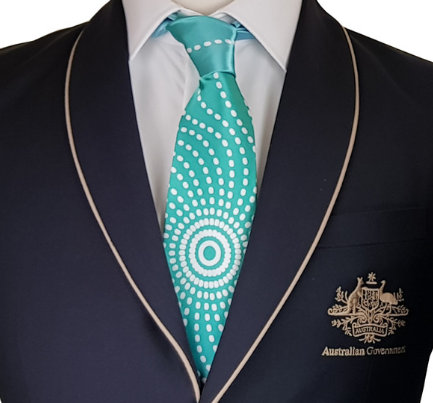 The sand, deep blue ocean and the rich turquoise of our pristine beaches and reefs were key aspects of this inspiration and the scarf/tie artwork was designed paying homage to aboriginal dot paintings in a spiral design. Functionality was a key point too, as the team needed a design that would suit all shapes and be breathable in the hot desert of Abu Dhabi where they were competing. The project was a true collaboration and The Uniform Edit were honoured to work with the team on this uniform pleased to be included on the world stage in this way. 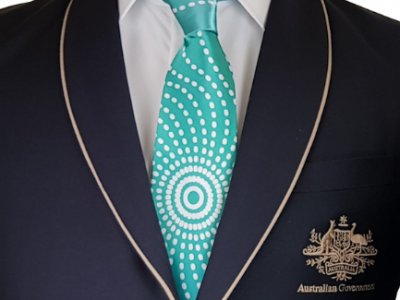 We ensured we helped Ashleigh bring her designs with careful selection of the final fabrics and colours to match the winning design’s purpose in the WorldSkills International Competition.